​Ms Cunningham spoke to the children about her visit to a school in South Africa where she was working with the Niall Mellon Trust. She has been visiting all the classes showing them pictures of her trip and explaining the differences between schools here in Ireland and those in South Africa. The children are really enjoying learning all about it. 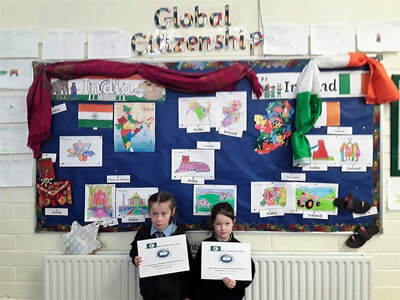 Above is some of the work on fairtrade that classes have on display around the school. 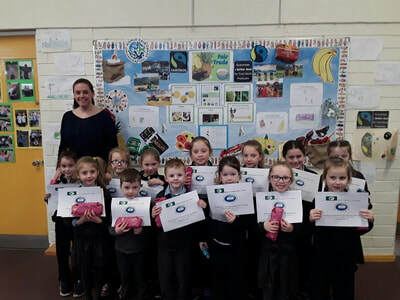 Here at Scoil Aonghusa we have been taking part in the Green School’s initiative for over a decade now. We take looking after the world around us very seriously indeed! The school has just been awarded a certificate and the fifth green flag based on biodiversity. The sixth green flag is all about litter and waste and the effect this has on a global level all around the world. 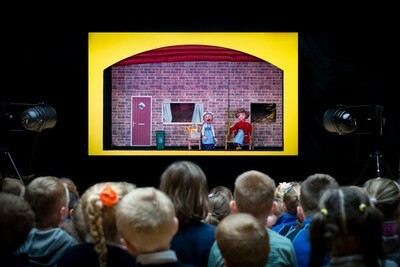 On the 3rd of April we invited the Moon And Sixpence Theatre to the school. They did a rendition of Little Red Riding Hood with an environmental awareness twist. The Big Bad Wolf was throwing rubbish all over the forest. The pupils were shouting up at him that it is not very good to throw your litter on the ground and to always put it in the bin! There were songs about the importance of throwing litter in the bin and recycling. 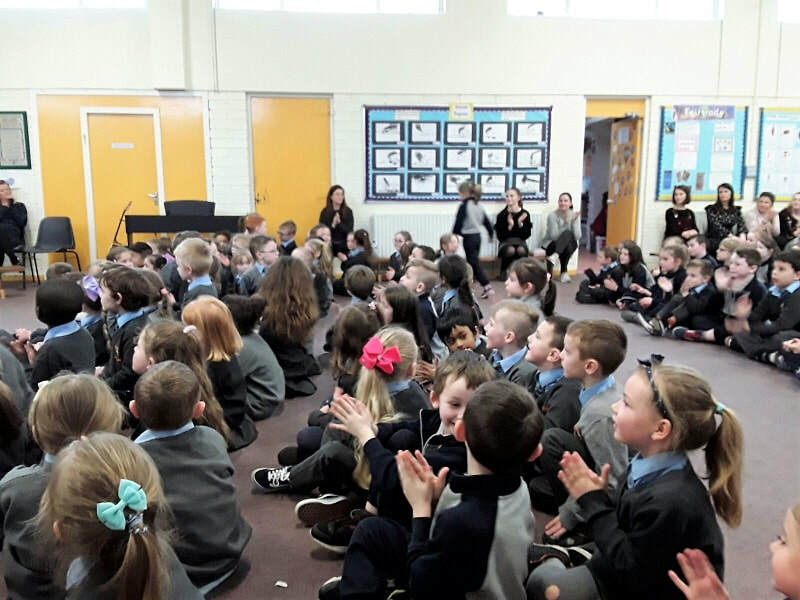 The children really enjoyed the performance and joined in all the catchy songs. 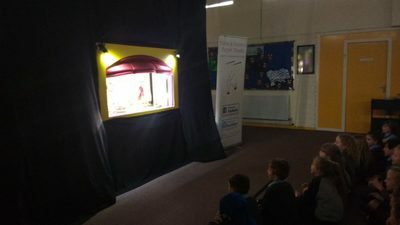 The show reminded them of the importance of throwing our waste in the bin, recycling and taking care of the world around us for a better future. 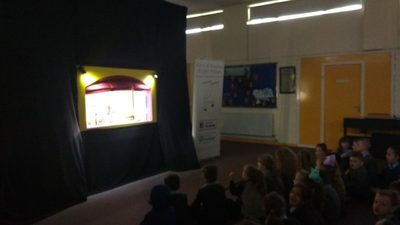 The Moon and Sixpence Puppet Theatre specialises in performances of primary schools. Young children never tire of the traditional fairy tales such as Little Red Riding Hood, Snow White or Jack and the Beanstalk. They are particularly delighted to have these familiar stories played out before them, with references to their school, locality and what they are learning about. The students genuinely brought the story to life. We look forward to having them at our school again next year! 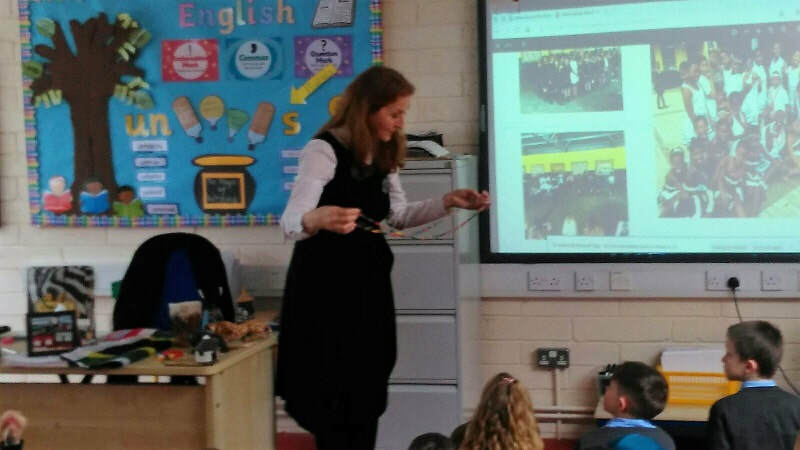 On Tuesday the 28th of April 2017, Scoil Aonghusa Junior held its biennial science day. 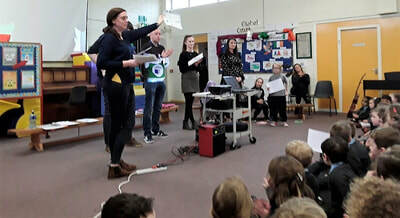 Parents and members of the local community were invited to the school to see science demonstrations,experiments and investigations that the pupils had been working on throughout the year so far. 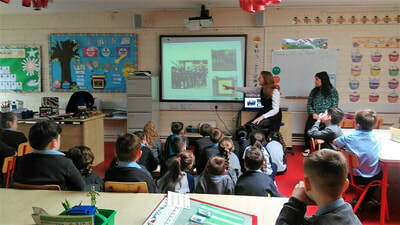 Past pupils from Scoil Aonghusa Senior were invited on the day also. Ms. Kelly’s senior infant class investigate fruit! Ms.Hickeys class teach and learn about materials and investigate “Which Ball is the Bounciest?